We have talked in Part 1 and Part 2 about your terrific idea for a new product and strategies to validate and prepare the product for the market. The next step is to build a company to produce and distribute the product, and to support your paying customers. To do that, you will need money. Consider your overall goal for starting a business. Do you want to become wildly successful and wealthy, change the world, be your own boss and call the shots, or just get your idea far enough along so you can leave your current job? Thinking about your purpose will be pivotal to guide your next steps, including your business structure and whose money you accept. Knowing where you want to go is essential for planning how to get there. There are 2 basic types of business startups—lifestyle and scalable. Both can be successful, but they have different objectives and take different routes. A lifestyle business will generally provide a steady cash flow that supports the company and allows the founder and his or her team members to enjoy a particular lifestyle. This type of business is usually owned by one person or several partners and has limited scalability and potential for growth. The goal is not massive growth, but to have an easy lifestyle with the perks of small business ownership (eg, being your own boss, building a loyal customer base, contributing to your community). A scalable business aims to move beyond the founder(s) and grow into a large company with a hefty cash flow (ie, millions to billions). This business type generally requires a large initial cash injection to get started. The most common approach is to create a “pitch deck,”1 a 10-slide summary that maps out your business strategy and value proposition. This is your (ABC television show) “Shark Tank” moment where you present your deck in 20 minutes or less to a potential investor(s) and persuade him or her your idea will deliver a return on their investment. This article will focus on the scalable business, where funding is more likely needed. Most investors will reference fundraising “rounds” to indicate where you are on your business journey and to help measure the success of your company within each growth phase, relative to the amount of money raised in each round. Series B: This round is the orchard. Your business is growing rapidly, your product has a strong market fit, and your sales goals are being met. The capital raised in this round, generally between $7 million and $10 million, will often be used to expand your team and market reach, and to continue investing in your product. Series C+: Now you are a forest. Rounds can continue as needed at this point, with the focus on scale by entering the global market and acquiring competitors or complementary companies to fuel your business. Companies often raise hundreds of millions of dollars in this round. When I started Vet2Pet, I implemented annual subscriptions to grow cash flow more quickly than if I just accepted month-to-month contracts. I kept reinvesting the money from subscriptions to gradually grow the company. This works only with a low cancellation rate because the money is spent before the service is delivered. Dr. Julie Buzby started a business around Dr. Buzby’s Toe Grips, nonslip grips that fit onto dogs’ toenails and restore their natural ability to grip with their nails. She was telling a client about her idea and the client was so inspired she left $10 000 on Julie’s doorstep to help her launch her business. The idea for the company Whistle5 grew from current CEO Ben Jacobs’ experiences with pet care accounts and was developed with 2 other partners while they researched the pet care industry for venture capital firm DCM. Whistle was founded in 2012 after the 3 partners raised $6 million in a venture funding round led by DCM, as well as other investors, including the former CEO of Mars Petcare and the president of Humane Society Silicon Valley. The company began with only 20 employees. Whistle’s first product, an activity monitor for dogs that tracked their exercise, was released in 2013. The company raised an additional $10 million in a Series A funding round and $15 million in a Series B round. Self-funding: This is a mixture of founder capital, sweat equity (ie, working without pay), and reinvesting cash flow from the business to fuel growth. Founder capital is the easiest way to start a business, but perhaps the riskiest, depending on how much money you have to lose, and you will take more personal risk than you would accepting investment funding. Setting boundaries and limits on the amount you inject into your own business is very important, because “just a little more” can result in the loss of all your assets. Make a plan, set an amount, and seek other options, if needed. Friends & Family: Friends and family are informal investors; people whom you most likely know who are inspired to be a part of your idea. They are usually a rich-uncle type or a friendly acquaintance who sees potential in your idea and finds it exciting to invest and see your company grow. Generally, money is exchanged for equity in the business or interest on a loan. Angel Investor: An Angel Investor is generally an affluent individual who enjoys being a part of a startup. Many Angel Investors are successful business professionals or entrepreneurs themselves.3 Such investors accept a higher risk level because they invest when the business is in the early stages and unproven. In exchange for their risk, they typically will act as an advisor for the business and be given a small amount of equity in the company. Venture Capital Investors: A venture capitalist (VC) is an individual or a firm that provides substantial investment for an equity position in your company.4 VC’s are primarily interested on a return on their investment. They are professional investors who will require much more due diligence up front to mitigate their risks. In addition, the “dating period” (ie, from pitching to getting funding) is usually close to 6 months. Crowdfunding Investors: These options have only recently become available. Groups (eg, Kickstarter, GoFundMe, Crowdsource) use social media to spread the word about your company and allow the public to invest in your company in return for perks (eg, free versions of your product, handwritten thank-you notes, even the good feelings that come from helping someone). This type of funding has a side benefit in that you learn more about your product’s salability. If your crowdfunding campaign is wildly successful, you may be onto something; if not, you will see early that you may need to pivot your idea to better fit the market. Every funding option involves a company valuation (ie, identifying the company’s current worth). A valuation is an art and a science that can be calculated by the founder and then negotiated with investors to reach an agreed-upon price. As with the housing and stock markets, the value can be based on the perception of stability and projected growth, or on the multiplication of revenue. No standard measurement exists, but you should be able to prove your company’s worth to investors using current sales amounts, future projections, organic growth, and pre-signups. Make sure the valuation matches the current data about your product—do not be the Shark Tank entrepreneur who gets turned down because of fuzzy math. 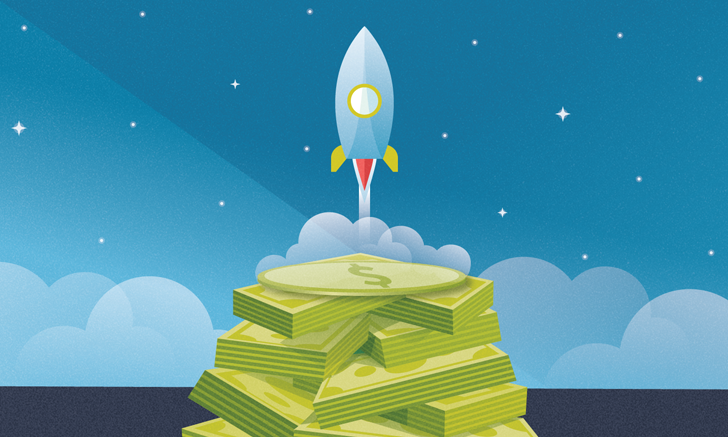 Building a product that solves a problem and fits the market and finding funding to move along the financial runway to liftoff are key to entrepreneurial success. 1 Be sure you know your reason(s) for starting your own business—this will help you choose the most appropriate type of funding to pursue. 2 Understand the different types of funding available and ensure your company’s valuation matches the data before pitching investment opportunities. The next step in veterinary entrepreneurship is building a team. Will you partner with a cofounder or lead the team alone? Read Veterinary Entrepreneur Part 4: You Have a Start-up: Now You Need a Team. Kawasaki G. The Art of the Start: The Time-Tested, Battle-Hardened Guide for Anyone Starting Anything. New York, NY: Penguin Group; 2004. Ralston G. A Guide to Seed Funding. https://blog.ycombinator.com/how-to-raise-a-seed-round. Published January 2016. Accessed April 2018. Types of Investors. Fundable. https://www.fundable.com/learn/resources/guides/investor-guide/types-of-investors. Accessed April 2018. Venture Capital. Wikipedia. https://en.wikipedia.org/wiki/venture_capital. Accessed April 2018. Whistle (company). Wikipedia. https://en.wikipedia.org/wiki/Whistle_(company). Accessed April 2018.